In an area long known mainly for the courthouse in which the historic Scopes Monkey Trial took place, bass boats and the slack-jawed fish are making that famous debate on evolution a secondary attraction. After reeling in his 15-pound, 2-ounce catch, Keen scratched through the word “next” and wrote “new” on a sign. 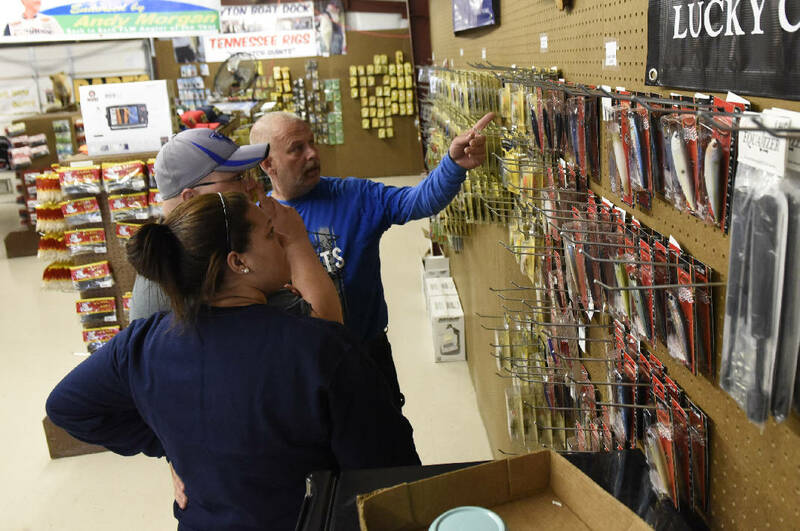 It was one man’s endorsement that Tumlin and Dayton Mayor Gary Louallen have put their efforts in the right place by tapping into the bass fishing industry. Guntersville, Ala., may contest that title, but Dayton’s emergence as a destination for anglers is hard to ignore. NBC Sports Network is airing an hourlong special this fall going inside a 2015 Fishing League Worldwide professional event held on Lake Chickamauga. Officials say $10 million in current local development follows directly in the wake of the fishing boom. It is an industry that appears sustainable in a county that the Appalachian Regional Commission counts as one of 14 in the state that are economically distressed. “The fishing tournaments, they do drive local business,” said Nathaniel Eastwood, a Dayton native and a graduate of Bryan College. He is general manager for the 55-room Sleep Inn & Suites that is under construction in Dayton. “It creates a demand that business owners see. We wanted to help with that. The hotel will have fishermen-friendly features, including electrical hook-ups for boats in a parking lot designed for vehicles pulling trailers. It’s the type of business endeavor that Louallen and Tumlin envisioned popping up in town when they identified fishing as a potential economic catalyst after a Dayton city councilman commissioned them to research tourism in 2011. Then Louallen was elected mayor in April 2013. He hired Tumlin away from his position as an account manager for Coca-Cola in January of 2014, and suddenly they found themselves with powerful positions within the community. They already had momentum, and they already had a vision to push Dayton and Rhea County forward and, perhaps, off of ARC’s list of distressed counties.